Ave Buchwald is Certified as an Appellate Law Specialist by the State Bar of California Board of Legal Specialization. His practice is to leave no stone unturned when he is involved in investigation, research, strategic planning and trial preparation. Mr. Buchwald represents clients in real estate, business, contracts, legal malpractice and will/trust contests. 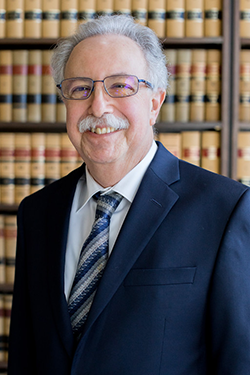 Ave Buchwald has been a lawyer since 1976 and has practiced law with Blumberg Law Corporation since 1979.